If you need hot water right now, you've called the right place. Hilltop Plumbing has been repairing and replacing electric, oil and gas water heaters on Long Island for over 32 years. We service all brands and models including solar, propane, natural gas and electric water heaters. Not sure which type of water heater you need; don't worry, our Hilltop Plumbing staff has all of the latest information you need to make the right choice for your home. You can count on the Long Island plumbers at Hilltop Plumbing for quality work, great warranties and of course, the peace of mind that comes with a guarantee. Your water heater is the third largest user of electricity in your home. With today's energy costs going up all of the time, saving money with an energy- efficient water heater not only helps the environment but puts cash back in your pocket at the same time. It makes sense to get good professional advice before you invest in a new water heater. 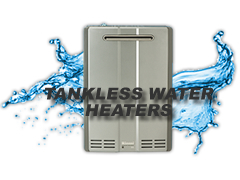 Regardless of whether your home has gas or electric, you may want to switch to an energy-efficient tankless water heater. Do you wait for your shower's water to get hot? How about your kitchen sink? Or any faucet in your home? How long does it take for the hot water to arrive? The wait is finally over! Enjoy a no-wait hot water re-circulating system for your home. Your Hilltop Plumbing technician can show you today how easy it is to install a simple device that keeps your hot water pipes full of hot water all the time. That means no more wasting water down the drain waiting for hot water. 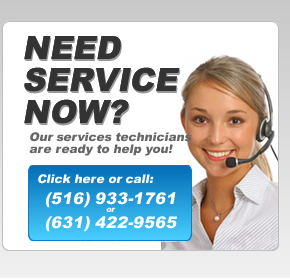 We can even help you if you are in need of emergency plumbers. To learn more about how you can save on your utility bill see our section on hot water recirculating systems.